The Victims and Dealing with the Past project team hosted a very successful conference on 14 May 2018. 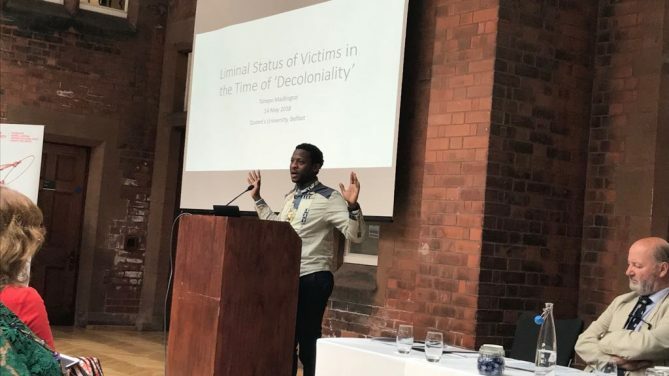 Under the title of ‘Victimhood and Dealing with the Past in Northern Ireland’, we welcomed a range of local and international speakers and a diverse audience. Below you can find details on each of the panels and a selection of photographs of our panel speakers. 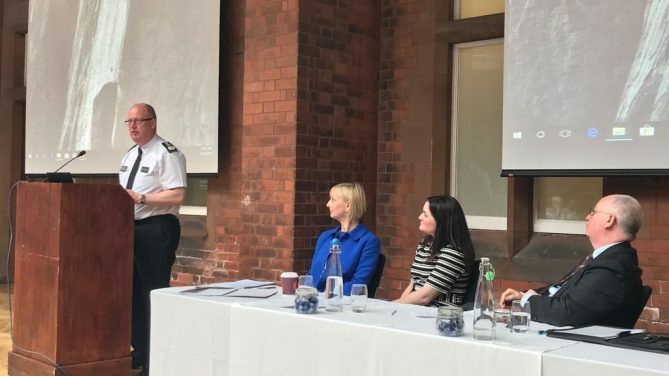 Panel One, ‘Victimhood and Dealing with the Past in Northern Ireland’ saw presentations from Dr. Michael Maguire (OPONI), George Hamilton (PSNI Chief Constable) and Dr. Cheryl Lawther (Queen’s University Belfast). The Victims Commissioner Judith Thompson chaired the panel. Panel Two, ‘International Perspectives on Victimhood’ was chaired by Dr. Lauren Dempster and welcomed a range of international perspectives on victimhood. Speakers included Tshepo Madlingozi (University of Pretoria), Professor John Brewer (Queen’s University Belfast), Dr. Rachel Killean (Queen’s University Belfast) and Dr. Adriana Rudling (Queen’s University Belfast). These presentations included insights from South Africa, Cambodia and Colombia amongst others. Panel Three, ‘Victims, Legacy and the Media’ brought together Anne Cadwallader, Alan McBride, Andree Murphy and Paul Gallagher, each reflecting on their own experiences with the media in Northern Ireland. This insightful panel was chaired by Susan McKay. Panel Four, ‘Victims, Voice and the Media’ continued this theme. 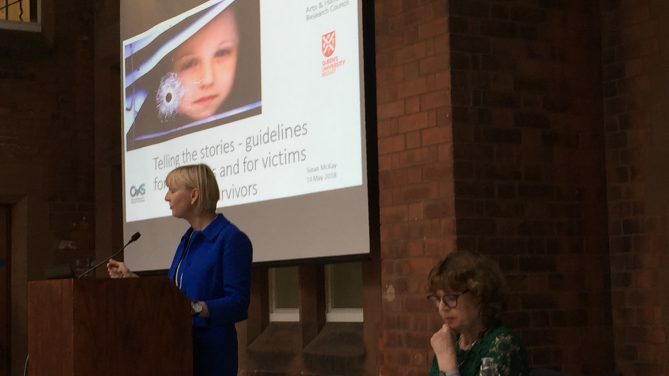 Judith Thompson opened this panel, highlighting the work the QUB team have been doing on creating two sets of media guidelines – one on how best victims and survivors can engage with the media and one on how the media can best engage with and represent legacy issues. Judith underscored the importance of this work. Susan McKay who has been working with the project team to create both sets of guidelines then presented on their content. Draft copies of each set of guidelines were shared with the audience and feedback taken from the floor. The project team would like to thank everyone attended and participated on the day.